Tea tree essential oil, also referred to as Melaleuca oil, is isolated through steam distillation from the leaves and twigs of the native Australian plant Melaleuca Alternifolia. The oil extracted from the Melaleuca plant has been used for medicinal purposes by the Aborigine population for centuries. Tea tree oil possesses beneficial antibacterial, antiseptic, anti-inflammatory, anti-fungal, insecticide, and immune system stimulant properties. 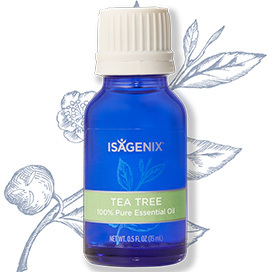 Isagenix Tea Tree Essential Oil is meant for aromatic and topical applications only. Due to its strong disinfectant qualities, tea tree oil can be toxic if swallowed and it is not recommended for internal use. Isagenix Tea Tree Essential Oil has a limitless number of ways to support personal health care and benefit environmental wellness. Topical use of Isagenix Tea Tree Essential Oil helps with: skin care, hair care, ear infections, acne, wound healing, bacterial infections, toenail fungus, viruses, insect bites, body odor, muscular aches and pains, and laundry freshness. Aromatic use of Isagenix Tea Tree Essential Oil helps with: household mold, mood stimulation, healing coughs, head and chest colds, the flu, and opens sinus cavities. Internal use of Isagenix Tea Tree Essential Oil is not recommended without first consulting a medical professional. Topical Uses: (a) Undiluted – 1-3 drops of oil in the washing machine or on a cotton swab for placement around the home; (b) Diluted – mix one drop of oil with 10-12 drops of the carrier Isagenix Essence Coconut Application Oil prior to applying to the desired area. Aromatic Uses: (a) Put 8-10 drops of oil in the Isagenix Essence Aromatic Cool Mist Diffuser and place in the desired area for renewed air freshness; (b) Breathe directly from bottle to open nasal passages, control coughs and colds, relieve chest congestion, and ease sinus congestion. Internal Uses: Not recommended for internal application without first consulting a medical professional. PRECAUTIONS: Prior to the first application of Isagenix Tea Tree Essential Oil, test for possible skin sensitivity by applying oil to a small patch of skin. Keep out of reach of pets, small children, and infants. If taking medications, if pregnant, or if nursing, always consult with your primary medical professional prior to any health care changes. Avoid eye contact with any pure strength essential oil. How Do I Buy the Isagenix Oil Tea Tree? 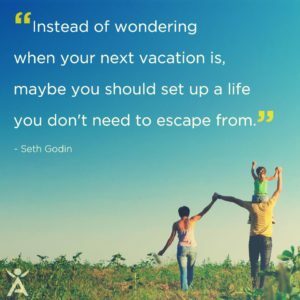 RECOMMENDED: Sign up and Save (CA$19.99 Signup) — Sign up to the Isagenix autoship program to become eligible to have access to the cheapest wholesale prices. At the end of the checkout process you’ll be asked to set up your next month’s order. Autoship can be cancelled at any time, even after you take advantage of the cheaper prices on your first order! There are no locked in contracts of any sort. 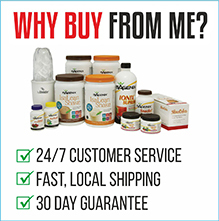 Plus, this gives you the opportunity to participate in the Isagenix business (this is 100% optional). Full Retail (CA$26.65) — If you prefer not to sign up and take advantage of the lower pricing, you can purchase the products at full retail price. This is not recommended as you can cancel autoship at any time.